Tax reform is already creating a better economy for Ohio and a brighter future for Gallia County families. That’s exactly what Congress intended when we crafted this law. The most recent federal jobs report shows the fastest wage growth since the 2009 recession, unemployment at the lowest it’s been since 2000, and the most Americans entering the workforce since 1983. According to a study by the National Federation of Independent Business, small-business optimism is at the highest level they have ever recorded. Just this year, I’ve toured 10 Ohio businesses and had conversations with lots of small-business owners and workers who are already benefiting from tax reform. I’ve seen the results of this new law firsthand, and I know that it’s significantly helping Ohio workers, Ohio families, and Ohio businesses. In Zanesville recently, I visited GKM Auto Parts, a small business that reinstated health care benefits to its employees as a result of the new tax reform law. After years of double-digit premium increases, in 2016 the company felt that it had no choice but to drop coverage for its employees. Benefiting from the new tax reform law, one of the first things the company did was provide health care to its employees again. I also recently visited Wolf Metals in Columbus, Sheffer Corporation in Cincinnati, Bruns General Contracting in Tipp City, and more. All of these businesses have raised entry-level wages, delivered bonuses, reinvested in equipment, or expanded retirement benefits—or some combination of these things—all as a direct result of tax reform. This was made possible in part by lowering our business tax rate to be more competitive with the rest of the world and updating our international tax code to encourage jobs and investments in this country rather than overseas. For years, the U.S. had the highest business tax rate in the industrialized world and an international tax code that actually encouraged companies to keep their profits overseas rather than bring them back here. Now our companies are expanding and business optimism is growing, and the most direct benefit of the business tax reform goes to workers and families—in Gallipolis and across the state. And in addition to the business tax cuts, there are tax cuts that directly help individuals. In January, the IRS updated the amount of money it withholds for employee paychecks and that went into effect last month. Thanks to these tax cuts for individuals, 90 percent of Americans get a bigger paycheck and more take-home pay. Hardworking Ohioans’ are keeping more money every pay period. The tax bill lowered individual income tax rates, doubled the standard deduction, and doubled the child tax credit. The result will take more than three million Americans who had federal income tax liability off the tax rolls altogether and let families keep more of their money rather than it going to Washington. An Ohio family of four at the median can expect to save about $2,000 a year on their taxes. That money will make a real difference. From what I’ve heard around the state, it’s being used to pay for gas, groceries, or other expenses like health care; it’s helping with car and house payments; it’s being saved for retirement, and much more. The new tax reform law is helping Gallia County workers keep more of their money, helping Ohio families plan for their future and live a more comfortable life, and helping the entire American economy begin to function to its full potential. This law is already having the impact we had hoped for, and I believe this is only the beginning. 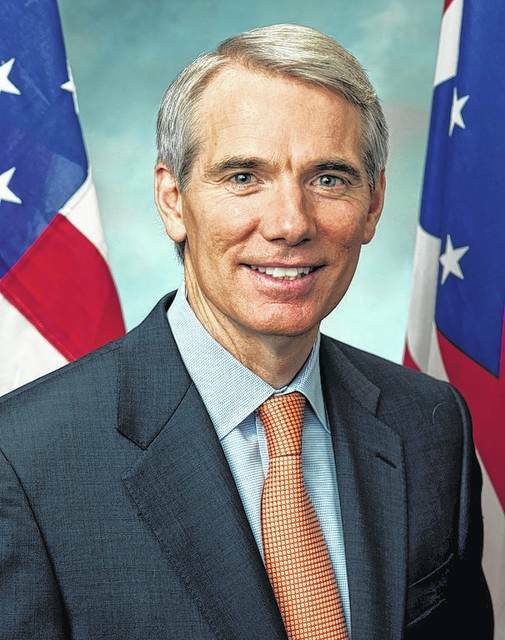 Rob Portman (R-Cincinnati), is a United States Senator from the state of Ohio.